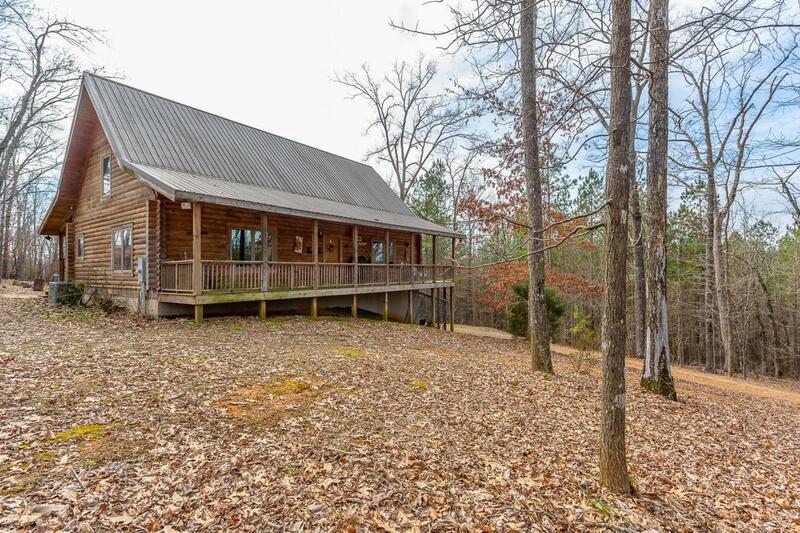 BEAUTIFUL Log Home on 33+ acres! Located on the south end of Highway 151, this private, rustic retreat was custom built in 2010 and is a dream come true! Absolute serenity! The home has almost 2000 SQ FT of living space on the main level, with another 1300 SQ FT of unfinished space in the basement. GORGEOUS master suite w/ clawfoot tub in the bathroom. Living room has 26 FT ceilings + gas logs, giving you that true cabin feel. 2nd bedroom is on the loft overlooking the living room. Wraparound porch provides panoramic views of the property. Majority of the acreage is wooded, with a 10+ acre field in the front of the property that would be perfect for farming! An abundance of trails throughout the woods provides the perfect terrain for 4 wheelers, hiking, hunting, etc. Call today!